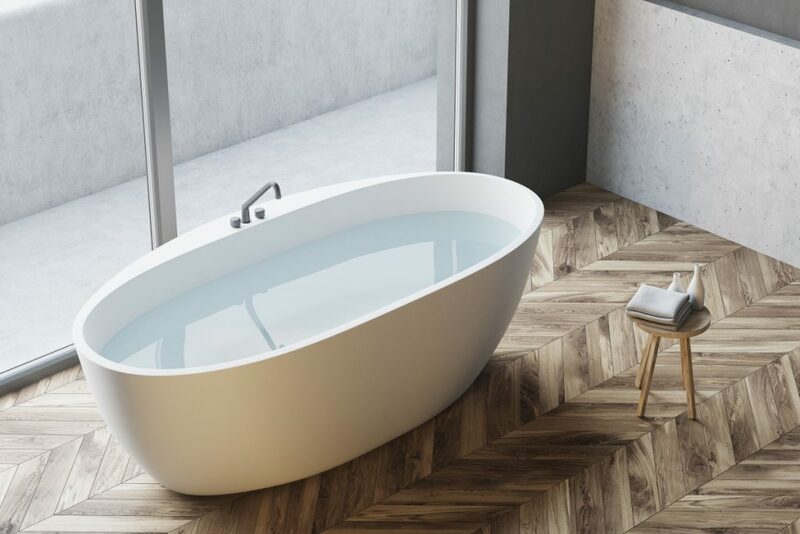 Whether it’s the reinvigorating feeling of a shower in the morning or the relaxation of a bath in the evening, bathrooms are key to everyday life and the general enjoyment you can take from your home. It’s important to put adequate time into designing bathrooms to ensure the space reflects your approach to home design and has an atmosphere of tranquillity and cleanliness. There are plenty of styles to consider, whether your home has a traditional feel, or you’d like to inject some ultra-modern minimalism, we’ve highlighted a selection of styles you need to keep your eye on this year. Some homes steer away from modern-styling and take inspiration from the past to create timeless spaces. Elegance is an important touchstone in traditional bathroom styles, whilst antique and vintage features help to create a sense of enduring class. Victorian and Edwardian taps and sinks provide an air of class, whilst standalone baths add striking visual impact and luxury. White glossy surfaces, black and white flooring tiles and floral elements also add to the delicacy of a relaxed, traditional space. Minimalism is grounded in clean, simple design elements, allowing us to focus on the simple, decluttered ambience of the space. 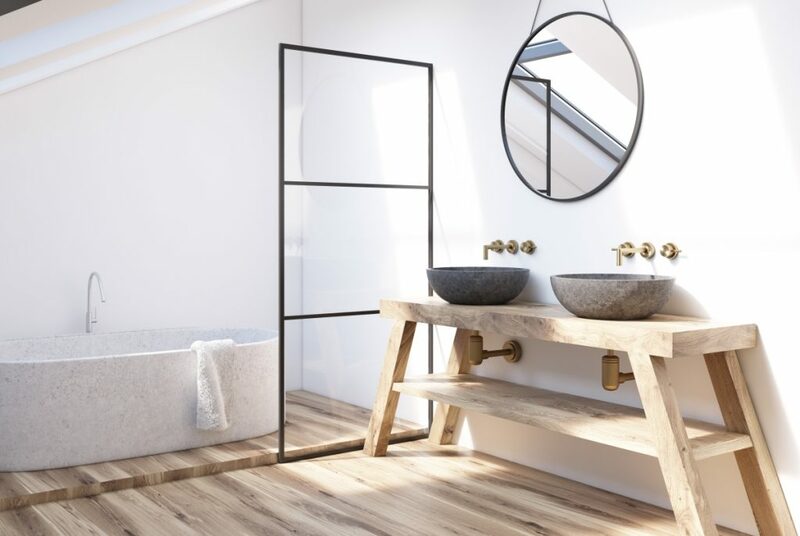 If tranquil ambience is top of your bathroom requirements, minimalism is an excellent approach and regardless of whether your home has classic or contemporary features, a minimalist approach can be adapted and tailored with ease. White is the key foundation colour when looking to create a bathroom with a minimalistic aesthetic, as it provides the perfect canvas to accentuate subtle details. Key features to help you develop balance are the sinks and tapware, whilst an even more striking statement can be introduced via a wet room, complete with a rainfall shower head. Grandeur, opulence and elegance are the defining factors of contemporary luxury style. Whilst most bathrooms tend to employ a subtle colour palette grounded in pure white, bathrooms aiming for the most luxurious feel often utilise bold, dark tones. Whilst more daring, this approach often offers a truly unique and striking look. Warm metallic elements such as gold and copper provide added elegance, whilst high gloss finishes, marble flooring and Art Deco light fixtures are key examples of the way a luxurious style can be brought to life. Industrial style owes plenty to the clever use of fixtures and fittings. 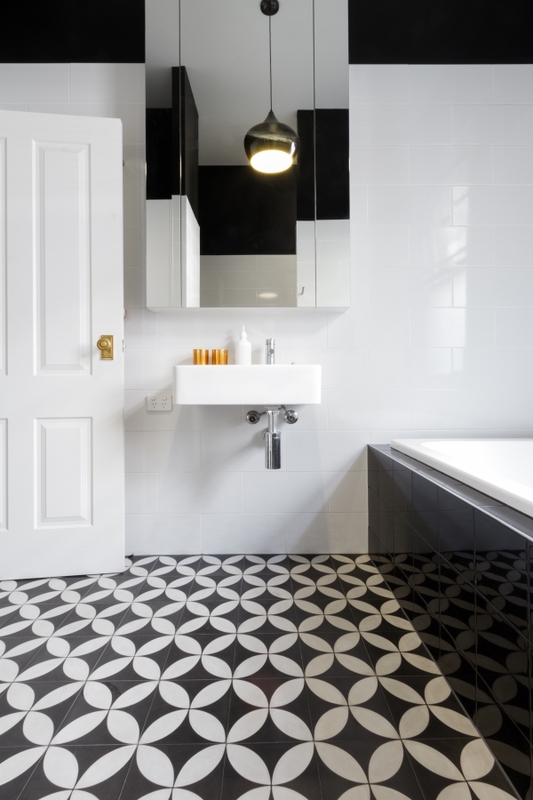 A monochromatic palette is mainly created through traditional-style tiling on the floor and walls. This is then added to with reclaimed-metal fixtures, from shower and tap fittings, to metal and glass shower screens. Black, stone and grey tones are often used, whilst weathered wooden storage and shelving adds a raw, rustic element intrinsic to the idea of industrial-inspired design. This style is all about personal character and charm. It’s also about paying homage to the easy, breezy side of nature to create a truly tranquil retreat. Houseplants may not be an obvious choice for the bathroom, but the bohemian style is all about nodding to our wholesome and natural sides. Small houseplants such as succulents are good for windowsills, as are small creepers. The warmth of timber items, such as shelving, is crucial, whilst rugs add homely charm. Maxtop Quartz worktops come in a broad range of finishes to fit a variety of styles. Explore the full range and order a sample here.